ZTE Blade V8 Mini has been officially launched; after the launch of its senior sibling ZTE Blade V8 Pro. As you can see, ZTE Blade V8 Mini is the lower version of ZTE Blade V8 Pro. Though there are differences in RAM capacity, screen size, Internal memory and battery capacity. Though, they both run on Android 7.0 Nougat. Have a look at the full specifications below. ZTE BLADE V8 Mini specifications. 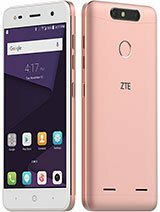 ZTE Blade V8 Mini released date. ZTE Blade V8 Mini price in India, China, Kenya, Nigeria.